I think that's the point I want to get across this time around in my review. 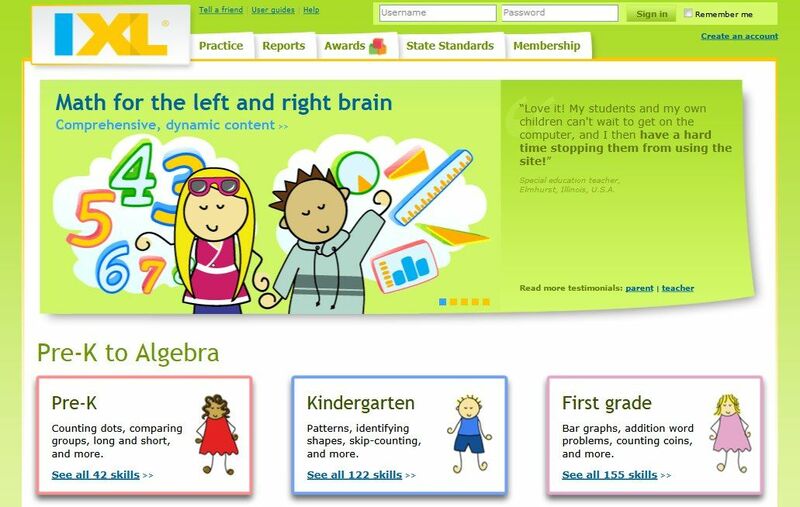 If you have a child who needs some reinforcement in the areas of math and/or language arts, and he or she enjoys computer-based learning, then IXL is definitely for you! If your child learns better in a workbook situation, and enjoys it more, then you might not want to spend the extra money on IXL to supplement your work. What we would have purchased a year and a half ago is not something we would purchase now. Let's review the features. We exclusively used the math program, although there is also a language arts program. These are all things that we really like about the program. When the kids are ready to play, they just go to the website and log in. I love the little icons I was able to put together for them and myself. All we have to do is click on our own icon and it takes us to the welcome screen. After they click on their icon, they choose their grade level. They have both been working on Fourth Grade this time around. And we are exclusively working on multiplication, so they just started with the next lesson they were on. There were 20 different lessons for multiplication alone! I like that I can choose reinforcement activities to supplement our current math lessons. The kids just like to choose a set of lessons and get started. But what they like most of all is the chance to win Awards and Certificates of Achievement. The program also keeps them informed of what they need to accomplish to earn the next award. What I like best is that the kids can work completely independent on the concepts. The program keeps working with them until they master the concepts. If they get the concept early, they only do a few problems. But, if they are having trouble with a concept, the program has them continue to do problems until they get it. And then I can view progress reports. Their work is at my fingertips. A feature that I particularly appreciate (that I do not think was an available feature a couple of years ago) is that I receive an e-mail once a week providing me with a report on what the kids have accomplished that previous week on IXL. The IXL math program is recommended for grades Pre-K through 12, and the language arts program is exclusively for grades 2-4. The cost of the program is completely reasonable, as well, at just $79 a year for home educators. To read other reviews on IXL, you can go to the Schoolhouse Review Crew blog.